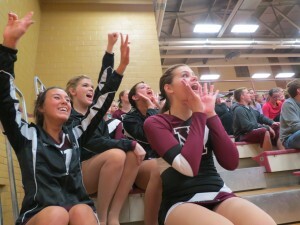 Morningside College dance team cheers on the men’s basketball team last night. Kelsie Pomerenke loves to cheer on Morningside athletic teams. 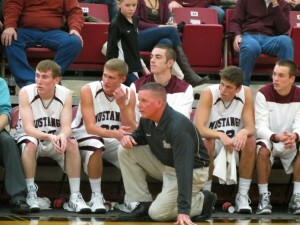 Head coach Jim Sykes in his element at last night’s game against Dakota Wesleyan.